Lamberhurst is a village and civil parish in Kent containing the hamlets of The Down and Hook Green. At the 2001 census it had a population of 1,491,increasing to 1,706 at the 2011 Census. Prior to the Industrial Revolution, Lamberhurst was a centre for the Wealden iron industry, originally set up during Roman times. Since then it had some importance for the hop industry; was home to Margaret and Denis Thatcher; acquired an extensive golf course; has controversially been by-passed; and played a major role in English wine production. The Church of England parish church is 0.5 miles east of the village. The Church of St Mary The Virgin, is a Grade I listed building and includes stained glass by John Piper. Lamberhurst civil parish on formation when they first became possible in the 19th century was in both Kent and East Sussex. The line of the county border was adjusted following the Local Government Act 1894, which required that parish boundaries be aligned with counties. To the west of the high street, The Broadway are the ruins of Bayham Old Abbey opened up by English Heritage and its current replacement listed gardens and house and the 14th century Scotney Castle to the east; a property of the National Trust. The moat and lake in the grounds of the latter is the result of a dam on the Sweetbourne stream. I have long been an admirer of English Castles and on my usual Wednesday day off, I came across Scotney Castle by accident. As a member of the National Trust, I drove in and took a tour of the old house. It was absolutely superb. However, I arrived late in the afternoon, so I had a choice before closing. Do I go down and explore the old castle or do I pop in the tea room and taste one of their scones, as recommended to me by a female tour guide? Difficult choice, but I had to go to the tea room..! I enjoyed a pot of English tea and a fruit scone; yes, for sure the scone was very tasty and fresh. 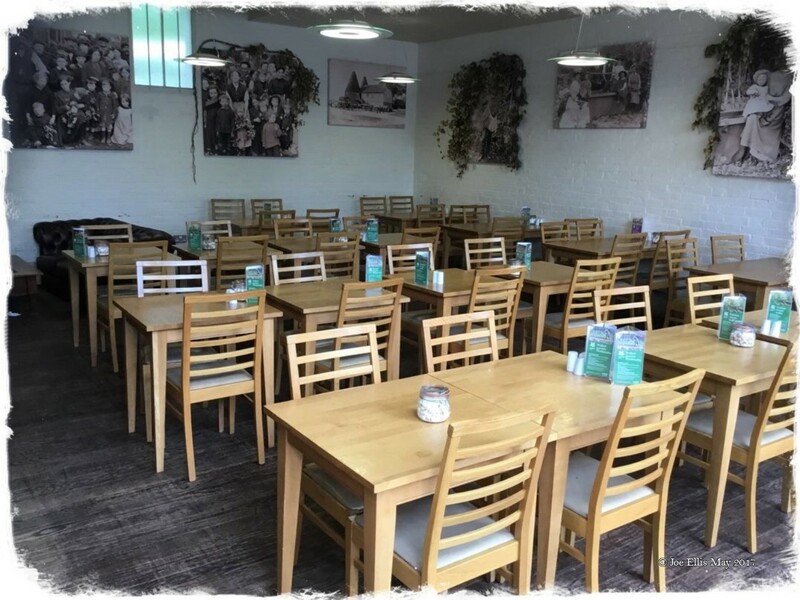 The tea room has a large seating area outside and a seated area inside (see photos); a good selection of savoury food, alongside scones, cakes and vast array of cold drinks are offered. Sadly, this is a self-service tea room; not ideal, as you are not guaranteed a table, so bear this in mind if you are visiting, especially if you are on your own. Ample parking at £2 or free for National Trust members. 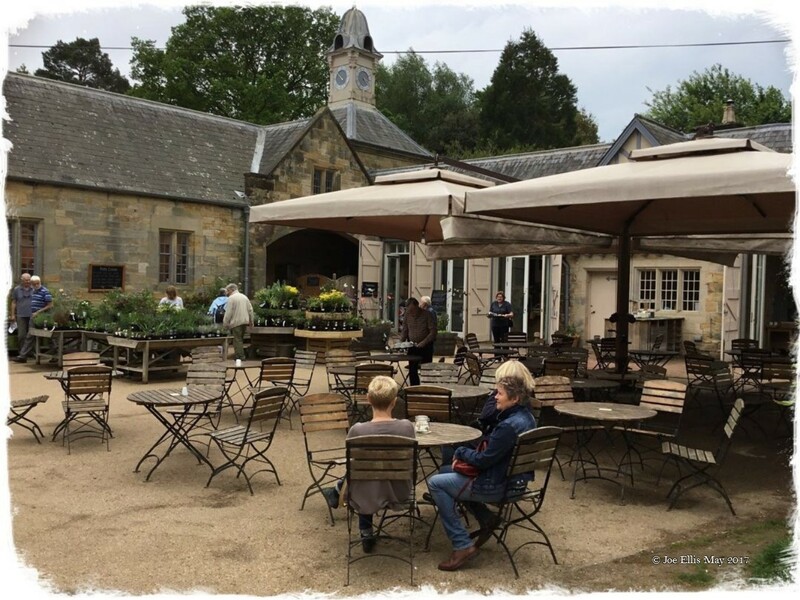 I can recommend this tea room; staff are pleasant.